Riders who use the coastal trains will need to find alternate transportation over two weekends this month. 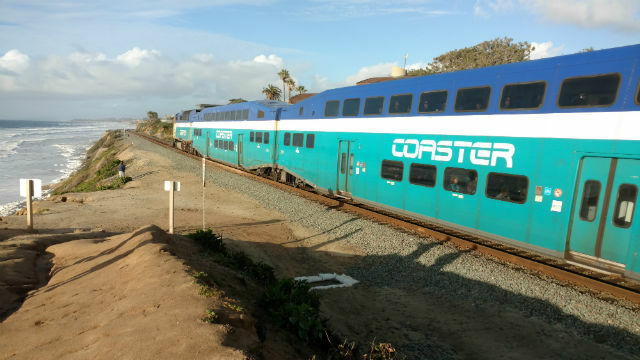 As part of ongoing infrastructure improvements along the coastal rail corridor, on Jan. 6-7 and 20-21, there will be no COASTER or Amtrak Pacific Surfliner service in San Diego County, according to a North County Transit District statement issued Tuesday. The closures were chosen “to have the least impact on customers and provide a window in which construction and maintenance can be performed without interruption,” the statement read. Passengers should be aware that on the Friday preceding each closure, January 5 and 19, southbound Amtrak Rail 2 Rail trains A792 and A796, which are scheduled to depart Oceanside at 10:05 p.m. and 12:01 a.m., will complete their trips to Santa Fe Depot, but train A590 will be cancelled. Due to the location of the work being performed, Amtrak and Metrolink will not provide rail service to and from the Oceanside Transit Center on these weekends. Amtrak connecting bus service will require Amtrak reservations. No replacement bus service connecting COASTER stations will be available. Alternatives for some COASTER passengers may include BREEZE Route 101 or MTS connections. After each closure, coastal rail service will re-open for regularly scheduled service in time for the Monday morning commute; trains may be delayed up to 15 minutes on each Monday. For trip planning assistance, customers can contact NCTD Customer Service at (760) 966-6500, or visit GoNCTD.com.